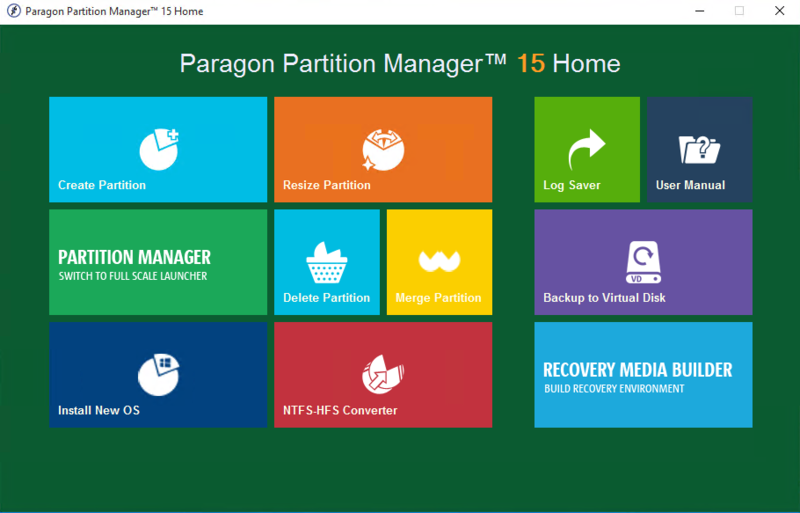 Paragon Partition Manager 15 Home is a powerful tool which supports all kinds of hard drive management tasks. You can carry out basic partitioning functions, for instance: creating, formatting, deleting and undeleting, hiding or unhiding them. But there are many more advanced features. You're able to merge two adjacent partitions to form a single, large partition; the program can redistribute free space from one or more partitions to another; and Partition Manager is able to convert a partition from one file system to another, without the hassle of reformatting. And, despite the name, the program isn't just about partitioning. Create a bootable CD/ DVD/ USB key via Partition Manager and you'll gain access to the Boot Corrector; if your PC won't start then fire this up and it's able to fix most problems. And you also get a simple backup tool which will back up your target partition locally, or across the network, protecting you in the event of a disaster. Please note, this is a trial version of the program, and has some restrictions. Paragon note that "some operations (e.g. advanced partitioning) can not be applied physically on the hard disk". This isn't the most exciting of updates, but Partition Manager remains an excellent program, packed with advanced features yet still easy to use.